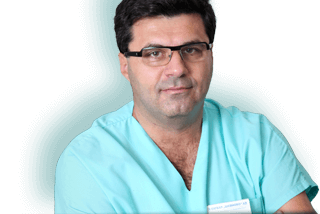 Here you can book an appointment with Dr. Chalmanov. Please follow carefully the steps of the procedure. If you have filled in your details correctly, after reviewing and confirming the time slot you selected, you will see a confirmation on the screen that your reservation request has been successfully stored in our system. Our team will review your request and send you a confirmation email at the email address you provided. We strive to do this as quickly as possible, but we ask for your patience, especially outside the working hours of the practice. If you have not received an email confirmation for more than 24 hours, please check the Spam (Junk) folder of your email software and contact us by phone. Dear patients, online appointments are the most popular service on our site. It is useful and convenient for you as well as for our team. Please plan carefully before you make your appointment with Dr. Chalmanov’s Medical Practice. Use the option to cancel your appointment as a last resort, as frequent changes to our schedule create difficulties for other patients and our administrative team. We reserve the right to refuse an appointment in case of abuse.